Collagen is a type of protein family that has a number of important roles to play in structures of the body, including the skin, organs, and other tissues. There are many different types of collagen that have been discovered. Collagen II marked significant importance for the medical science industry, discovered in 1969 by Miller and Matukas1. Since this time, at least 26 other types of collagen have also been identified, bring the total number of these collagen molecules to more than 28 different types. Some collagen types are more common than others. Collagen II in particular primarily makes up cartilage in the body, while type I is found in organs, tendons, bone tissue, and the skin. Collagen type III is known as a reticulate type of collagen, type IV forms the basal lamina, and type V plays an important role in placenta, hair, and the surface of cells. Even though a crucial component of many structures within the human body, collagen can be unhealthy in some cases as well, especially when a buildup of collagen occurs in certain regions. In this article, we are examining the relationship that exists between the Thyroid gland, the secretion of Thyroid hormones, disorders that affect this particular gland, and collagen throughout the body. Collagen, as previously noted, is a type of protein molecule. The protein molecule is made from various combinations of amino acids. 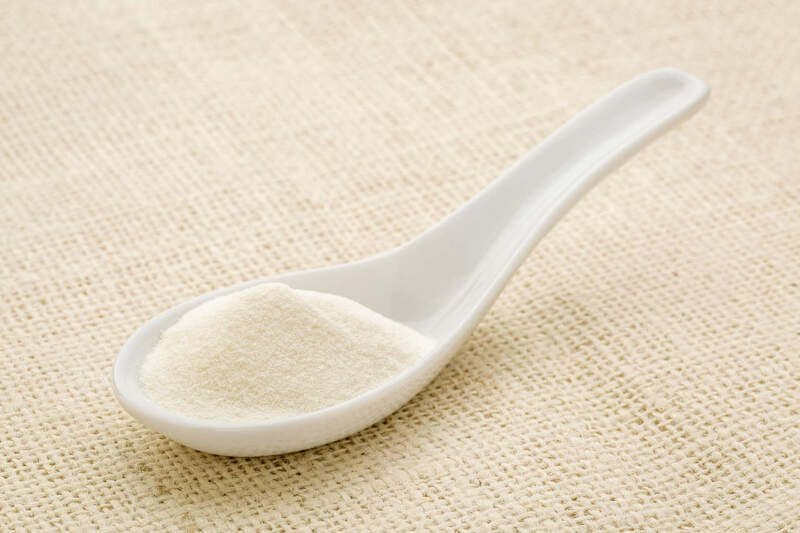 The primary goal of collagen molecules is to support connective tissue – in particular, collagen is responsible for supporting the extracellular regions of the connective tissues that are found within the human body. Collagen is resistant to stretching and is a very rigid protein. This makes it the perfect structure support material for connectivity tissues like ligaments, tendons, the skin, and, of course, bones. Collagen is able to form a range of different structures – the structure’s form is used to classify collagen into specific groups. As mentioned previously, about 28 different types of collagen have already been identified. An estimated 90% of all collagen that is found within the human body consists of type I collagen. The other most common types include Collagen II, Collagen III, and Collagen IV2. The X in the formula can be replaced by 17 different amino acids. The specific formula or amino acid chain that makes up the collagen molecule determines its characteristics. Collagen is important for the skin, for bones, muscle tissue, and many other parts of the human body. Different types of play roles in various areas of the body. Even though there are many products that promote collagen as a beneficial supplement, it should be noted that this is not an essential nutrient that a person needs to consume through foods and supplements. The body is capable of producing collagen itself. It has, however, been found that the use of certain high-quality collagen supplements could assist in providing certain benefits to the human body. In one study3, scientists identified the potential of collagen supplements to assist in reducing the signs of aging associated with skin dryness, as well as the formation of wrinkles. In the medical industry, there are many potential applications for collagen. The protein has been used to assist in the regeneration of bone tissue that has been damaged4. This holds potential for conditions that affect the bones throughout the body, such as osteoporosis and arthritic conditions, where bone tissue becomes degenerated due to disease affecting bones. This particular benefit regarding the effects of collagen on bones also accounts for periodontal areas. In one study, it was found that collagen may be useful in the regeneration in damaged ligament tissues within the gums and jaws5. Collagen has also been shown to be useful in the application where cartilage has become damaged due to injury or disease. A study showed that the use of a specialized collagen type might assist in the regeneration of the damaged cartilage, restoring cushioning for bones and joints6. Furthermore, it should be noted that collagen has also been found to be useful in the cosmetic industry. In particular, collagen has been found to enhance the moisturization of the skin significantly. Additionally, wrinkles tend to become reduced, and the protein seems to have a protective effect on sun-related damage and also yields additional anti-aging benefits7. The Thyroid gland is located within the neck – the gland secretes two very important hormones that do not only act on metabolism in the body but many other factors as well. The two hormones include Triiodothyronine, also called T3, as well as Thyroxin, or T4 for short. There are various conditions that may affect the Thyroid gland – and this can lead to two diseases. The two diseases that are relatively common in the general population include Hyperthyroidism and Hypothyroidism. 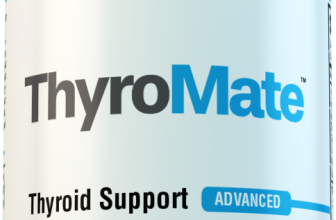 When a patient has hypothyroidism, the Thyroid’s ability to function normally is usually suppressed. The result is a decline in the number of Thyroid hormones that are secreted into the blood circulatory system. A patient with hyperthyroidism, on the other hand, will usually have an excess number of these hormones being secreted into their bloodstream. With hypothyroidism, metabolism becomes slower, but with hyperthyroidism, metabolism is increased. In addition to these potential complications, it is important to consider the fact that both of these conditions may lead to additional complications in a patient’s body. Some of these effects may impact collagen in the body – leading to excessive production or a decline in the production of collagen. Many studies have been performed to assist in providing evidence on how the secretion of Thyroid hormones, as well as the presence of certain Thyroid disorders, may affect the synthesis of collagen in the body. One study8 looked at how inducing hyperthyroidism and hypothyroidism affected collagen levels. The study was published in the Journal of Endocrinology at Oxford Academic. Below is a summary of the findings that are provided by the study. After inducing hypothyroidism and then injecting animal subjects with a proline solution, a type of amino acid that plays a large role in the synthesis of collagen, it was found that levels of collagen in various parts of the body may be reduced. This includes collagen in bones. Urine levels of hydroxyproline were significantly lower as well – lower than the level of hydroxyproline levels detected in bone tissue. When rat subjects were treated with thyroxine and then injected with a solution containing proline amino acids were found to exhibit a reduction in hydroxyproline activity in the skin. On the other hand, hydroxyproline activity in urine samples was increased. Even though conducted on animal subjects, this study provided evidence that Thyroid hormones have a definite effect on collagen production and the activity of amino acids that are involved in the formation of collagen. With the presence of hypothyroidism, levels of collagen in bone tissue may be reduced. This could be a potential reason behind the fact that patients diagnosed with hypothyroidism is considered at a higher risk of bone fractures, as well as conditions such as osteoporosis. Furthermore, several changes in the activity of collagen-related amino acids were also seen in cases where thyroxine was administered to study subjects. The injection of thyroxin is likely to induce a state of hyperthyroidism. A scientific paper9 published in the Japanese Journal of Clinical Pathology monitored the effects of hyperthyroidism on collagen levels. The study analyzed in the paper primarily focused on how hyperthyroidism, being an overactive Thyroid gland, would affect the level of collagen type IV in the body of 104 human subjects. The study used an enzyme immunoassay test and tested for two specific antibodies that are recognizable by the 7-S domain, as well as triple-helical, in order to determine levels of collagen type IV. After studying, the results of collagen IV levels in hyperthyroidism patients were compared to levels of this collagen in patients without hyperthyroidism. Levels of collagen IV was significantly higher – there was also a correlation between collagen type IV levels and Thyroid hormone levels. As Thyroid hormones increased, so did levels of collagen type IV. When patients with hyperthyroidism were treated using antithyroid drugs in order to bring down the overactivity of their Thyroid gland, it was found that collagen type IV levels returned to normal as well. It should be noted that levels of collagen IV were not reduced to significantly low levels among patients who had hypothyroidism. Furthermore, the scientists behind the study also noted that when patients with hypothyroidism were treated with levothyroxine medication, there was an elevation in the production of collagen IV in the patients. This makes it complicated to treat hypothyroidism in patients when collagen production may be a particular concern. An excellent example would be in cases where a patient may be at risk of liver disease – such as when the particular patient had previously been diagnosed with fatty liver disease. Collagen plays a role in fibrosis – and when levels of collagen are increased too greatly in the body, then there might be a higher risk of fibrosis becoming more severe. Collagen has many important roles in the human body and is found in most tissues. An increase in certain collagen types, however, may lead to an increased risk of fibrosis and other potential complications, while a decline in collagen may also cause a number of possible issues to arise. The well-being of the Thyroid may have an impact on collagen levels, as studies have found that regulating the release of Thyroid hormones may be beneficial for also balancing collagen in the body, and may even yield a protective effect in certain cases.